Awhile back, I mentioned that my strategy for dealing with my first Christmas away from home was to ignore it completely, to have it go by as if it were any other day. I’m happy to say this didn’t occur. Spending Christmas in Riung certainly made the holiday different than anything I’ve ever experienced, but it still has become one of the most memorable Christmases of my entire life. 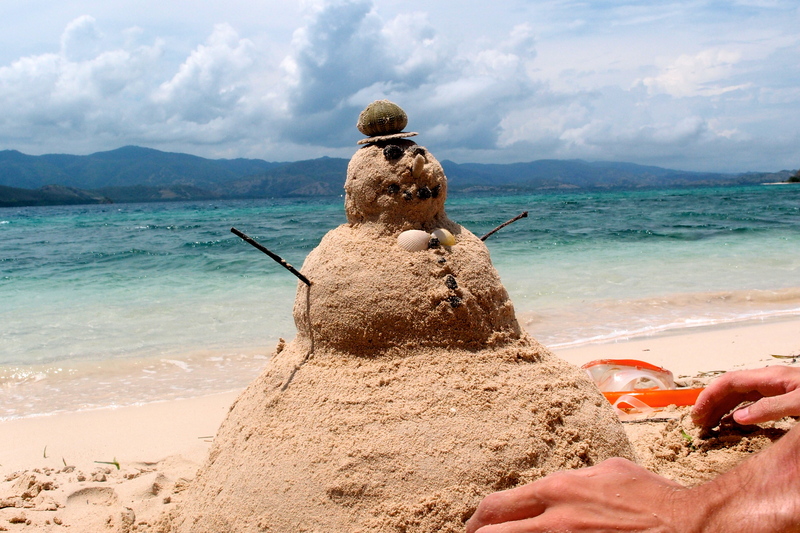 So as the last post of this epic holiday vacation in Flores, here’s a snowman we made in the sand. And when I say, “we” made this, I really mean “Tim and Ellen” made this —but I see myself as the art director of this project, so it counts. 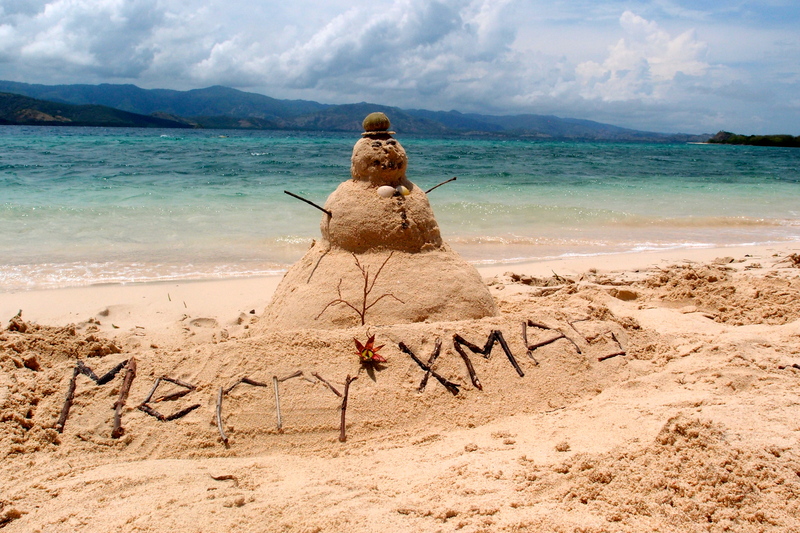 I’ve never made a snowman in actual snow…but this has got to feel better on your hands. 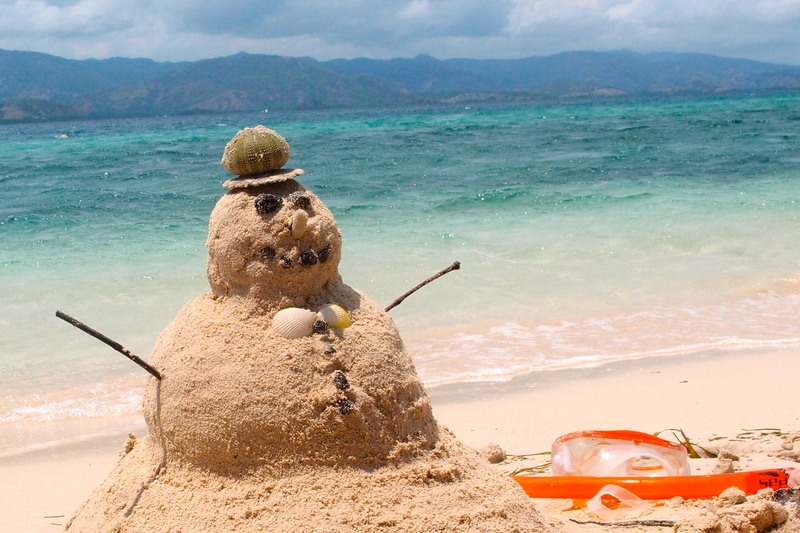 This snowman is in total vacation mode and gonna go snorkeling later. The final product and the image of our hypothetical Christmas card from Flores. 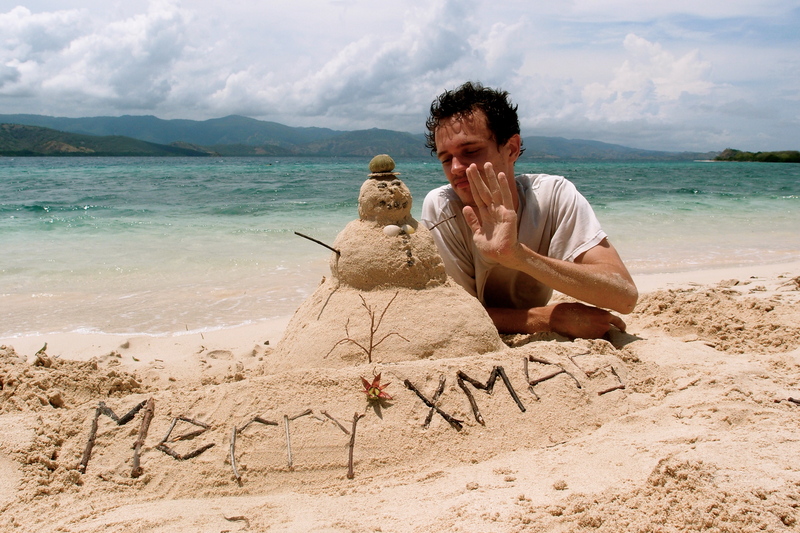 Tags: Beach, christmas, christmas card, flores, holiday, holidays, Indonesia, peace corps, peace corps indonesia, riung, sand, snowman, travel. Bookmark the permalink.